This product includes a small description of how I use it with my first graders. It comes with both Spanish and English printables. 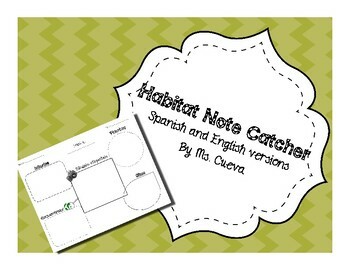 This note catcher serves as a check for understanding after a lesson, or as a graphic organizer for research and/or writing projects. Its versatile and can be used in whatever way you need for your classroom. 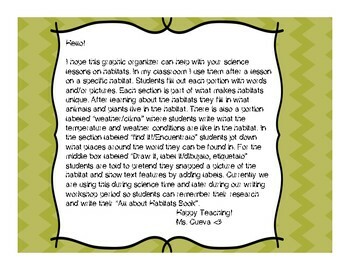 -A section for students to draw and label the habitat.